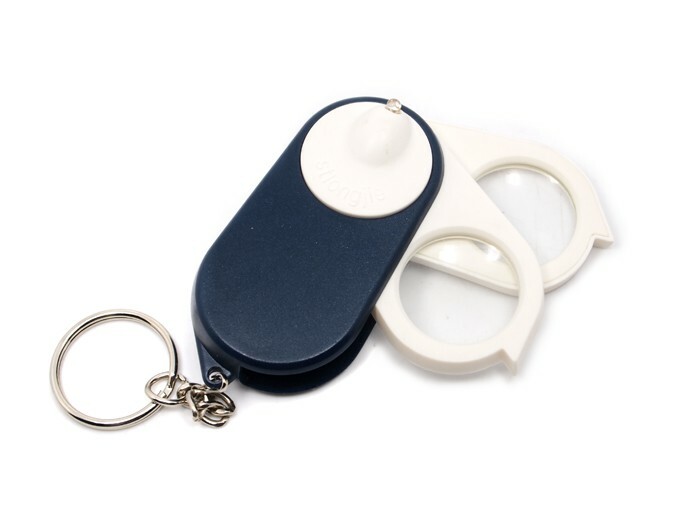 Here we bring you a magnifying glass with LED. Its designed with 2 pieces of qualified convex lens, which has improved magnifying power; and LEDs, which provides better view when the light is too dim to read. Here we bring you a magnifying glass with LED. Its designed with 2 pieces of qualified convex lens, which has improved magnifying power; and LEDs, which provides better view when the light is too dim to read. Put it 2.5cm over the object horizontally, adjust a little bit to a perfect position to fit your eyes, there you go! 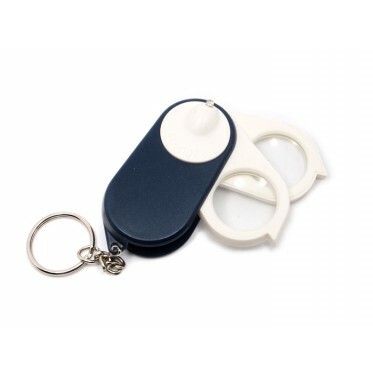 Its so small, you can easily tie it to your keys, and use it anywhere you want, very useful and convenient. Youll love it. To produce a magnified image of an object, helps eyes to check on tiny objects, such as machine parts, mini circuit, currency, and to read number and letters on micro-chip, no matter how small and dim it is.